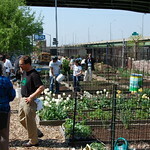 Riverside Valley Community Garden is located within Riverside Park. It has 10 gardeners who harvest lettuce, potatoes, eggplant, peaches, plums, pears and cherries, in addition to strawberries, raspberries and grapes. 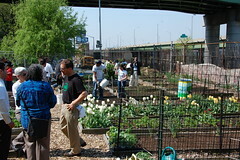 The Garden expanded its composting capacity to allow for the composting of garden and neighborhood residents/garden volunteers' waste. Winner of Manhattan SWAB 2012 Composting Grant Award.